The B + is the most popular of the Psilocybe cubenis strains available. It grows large B + mushrooms that have a beautiful dark red to golden brown color. The B + spores will germinate quickly and colonize fast. THe B+ magic mushrooms will even grow under less optimal conditions. Do you need a good spore print to start with? Choose the B + and it will not let you down. 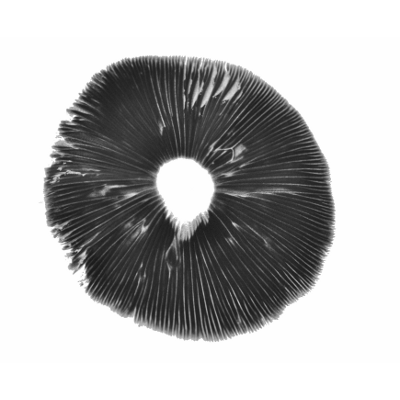 The spore prints are made on sterile film that is stored in a sterile ziplock bag and kept under refrigerated conditions. Each trace can have a small crash of traces removed from the printout. With this mop, a test drive is made on agar or liquid culture to check the conditions of the tracks. Only spores that germinate are released as a pressure. Store the traces cooled between 2 * C-8 * C Celsius or 35 * F-46 * F Fahrenheit. A Spore print can be stored for years.